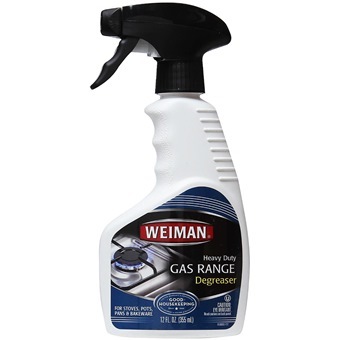 Weiman® Gas Range Cleaner & Degreaser is specially formulated to clean and shine all gas ranges. It dissolves tough, stubborn soil and removes heavily burned on foods, grease and residue. 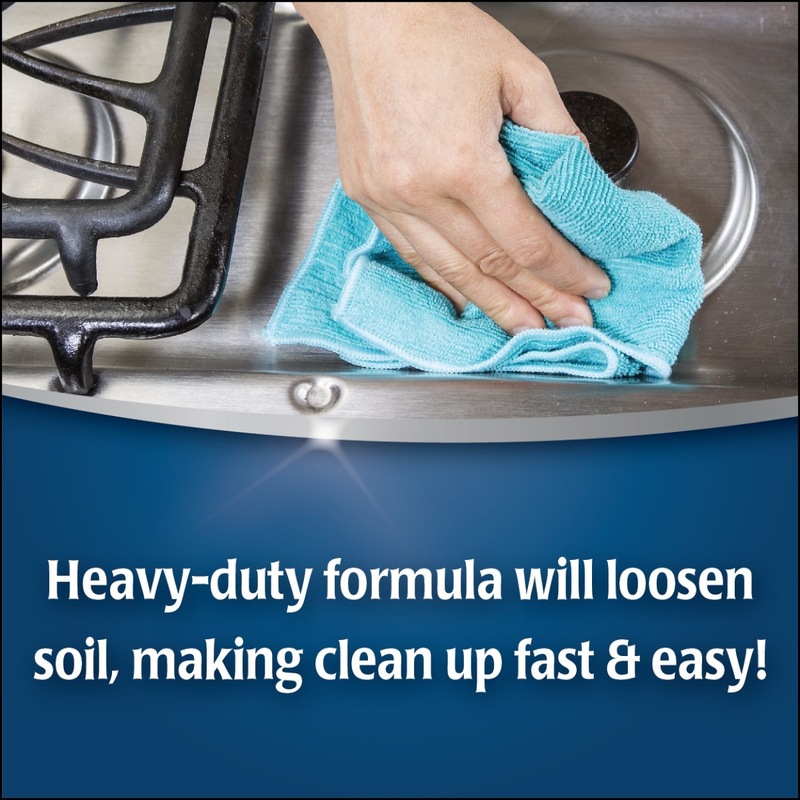 This heavy-duty formula contains a powerful blend of cleaners and degreasers that penetrate and loosen soil, making clean up fast and easy. 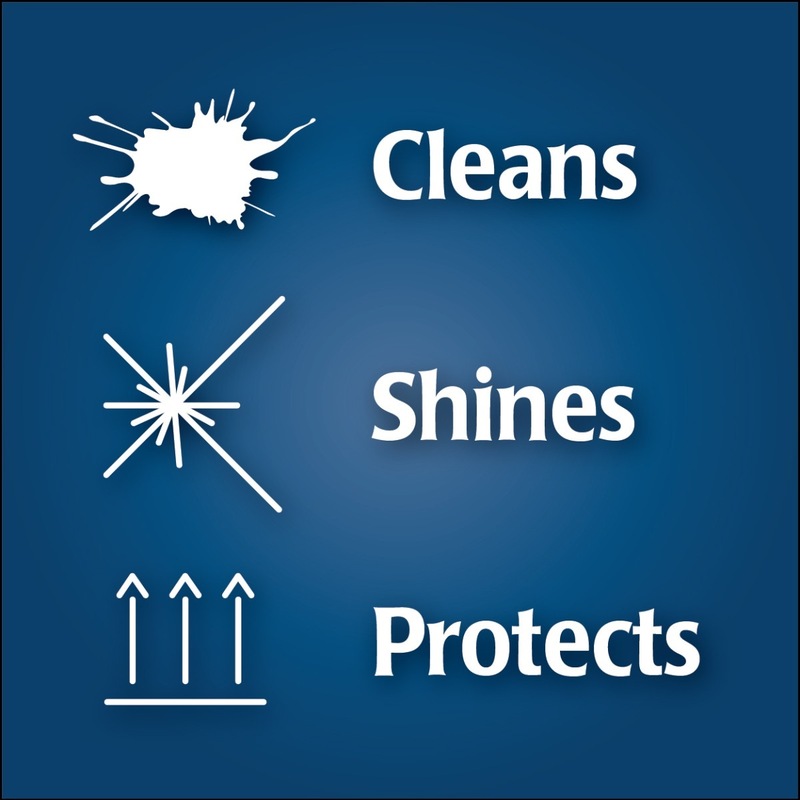 Use Gas Range Cleaner & Degreaser daily to keep your range looking shiny and new. This non-abrasive formula will not scratch or damage delicate range surfaces. It's excellent for all gas range components including stovetops, knobs, drip pans, grates, gas BBQ grill grates and ceramic, glass and metal bakeware.